Look Forward - Ep162: Fire the Subpoena Canon! 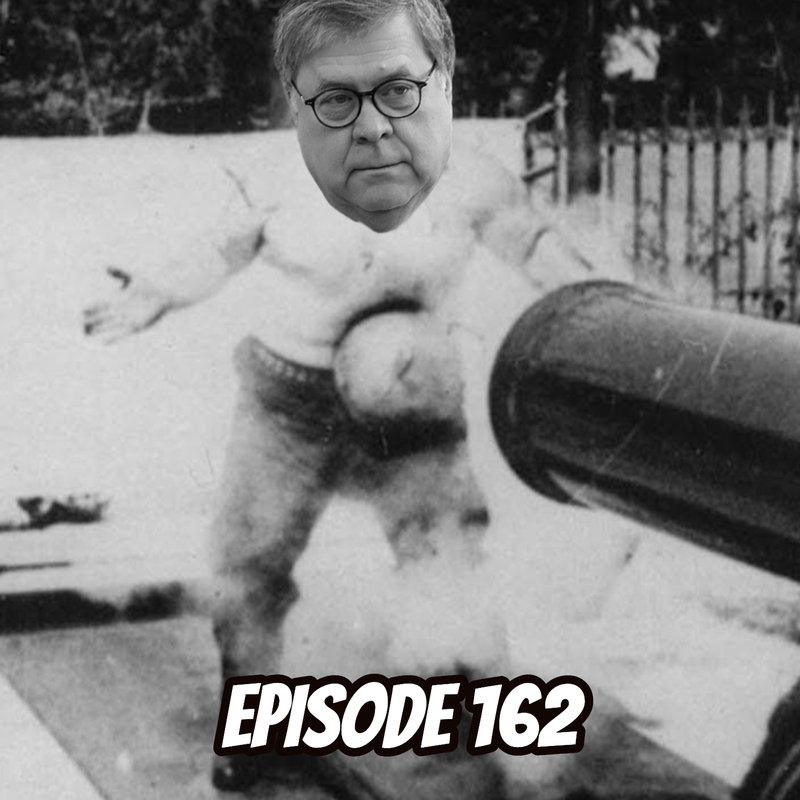 This week on Look Forward, Jay, Andy, and Brad are back to sift through all the madness that is the newly released Mueller Report (redacted). The three tactical the high points, little talked about points, and where we go next as a country. The hosts also tactical the rest of week's political news, including a conversation surrounding whether or not the Democrats should pursue articles of impeachment against Donald Trump in the wake of all the revelations from the Mueller Report (redacted). This week on Look Forward, Jay and Andy return to discuss the arrest of Julian Assange, Steven Mnuchin's continued dismissal of a plain language law requiring Trump's tax returns to be turned over to Congress, more Dem candidates and their tax returns, Roger Stone's continued judicial trolling, Ihlan Omar being targeted by right-wing hate and the Dems failure to give a strong response, Candace Owens testifies before Congress, new abortions laws moving through the states. Steve Mnuchin continues to ignore the law! This week on Look Forward, Jay and Andy return to discuss the Murdock family drama that could shape the political landscape for decades, Trump's taxes are up for grabs, Mueller team speaks, Kushner at the heart of a security scandal, Homeland Security Secretary is out, and much more! Chief of the Secret Service is now out! Wind turbines make brain dead president scared to go outside. Cancer will get him! We're back with what is fast becoming a Spring tradition: a James Bond tournament! This time we are having the villains from each of the twenty-four James Bond films duking it out to see who will reign supreme. Our listeners determined the initial seedingds, and we will come up with the definitive Men with the Golden Tongues rankings for all the Bond villains! This week on Look Forward, Jay and Andy return to discuss the Mueller Report and Barr's handling of it, gerrymandering case going before the SCOTUS, Kamala Harris new teachers policy proposal, Elizabeth Warren's Right-to-Repair policy proposal, Trump's insane 2020 budget proposal, Trump planning on taking on healthcare again, and much more! This week on Airing of Grievances, Jay and Micah return to discuss the episode entitled "The Diplomat's Club." The hosts discuss the episode in which Jerry plans to meet Bridgette (Berta Maria Waagfjord), a supermodel, at an airport lounge (the "Diplomat's Club" of the title) after returning from a quick air roundtrip to a "gig" in Ithaca, NY, but his assistant makes the trip a nightmare. Elaine is planning to tell Mr. Pitt she is quitting but reconsiders when he tells her that she's going to be mentioned in his will. George tries to prove to his boss, Morgan, that he is not a racist, as Morgan has been offended when George tells him that he looks like Sugar Ray Leonard. Micah also has an interesting mental exercise to try in reference to the episode. Look Forward - Ep158: Not the End, Just the Beginning! This week on Look Forward, Jay and Andy return to discuss in depth the Bill Barr summary of the full Mueller Report, who and why the SDNY matters, Kushner's use of Whatsapp, Avenatti arrested, Trump's idea on foreign car tax, Hickenlooper is an odd bird, and Joe Biden's team has some interesting campaign launch ideas. Yo Hickenlooper: Baby what is you doing? Why aren’t women being fair to men!!!? Is Joe Biden planning to announce his run for POTUS alongside his chosen VP? This week on Look Forward, Jay and Andy are back to discuss the terrorist act in New Zealand, massive college admissions scandal inside the US and its implications for 2020, Paul Manafort's sentencing and additional entanglements, Gavin Newsom stops the death penalty in California, Beto enters the 2020 POTUS race, Nancy Pelosi's comments on Trump impeachment, Republicans break with Trump on border "emergency," House votes to support Mueller report being public, and much more. This week on Look Forward, after the mega fallout of the Michael Cohen testimony, the news takes a weird slowdown of sorts, which will surely ramp back up next week. Until then Jay and Andy discuss new revelations from the New Yorker about the Trump administration's close ties to Fox News, Paul Manafort has his first of two sentencings, the Ilhan Omar controversy goes full stupid, Warren's brand new line of attack on big tech, Handi-gate, new list of 2020 POTUS race combatants and non-combatants, and Tucker Carlson shenanigans. This week on Airing of Grievances, the guys are back to discuss the episode entitled "The Fusilli Jerry." The two hosts discuss the episode that has likely the worst name due to the nature of the episode, having repeat sexual moves, proctology, and much more.